Fear is devastatingly real. All of us -- at some point -- have faced it. In fact, approximately one out of ten people has experienced a panic attack or a crisis situation. From fear of public speaking to fear of spiders, this feeling can prevent us from reaching our full potential. Large or small, the things we fear may seem insurmountable, but they're not. How to Overcome Fear teaches you that the closer you get to your fears, the more you understand them and the more easily you can defeat them. 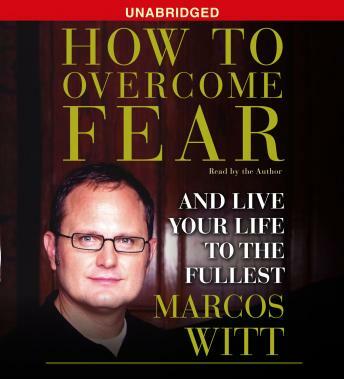 Speaking from his own experience, Marcos Witt takes readers on a clear path toward following the word of God as a bridge to living a life of victory and freedom, without fear. The first step toward conquest is to acknowledge that the problem exists. The second step is to seek help. Let Marcos lead the way. He has inspired millions with his songs and his sermons. Now let him inspire you with his words.